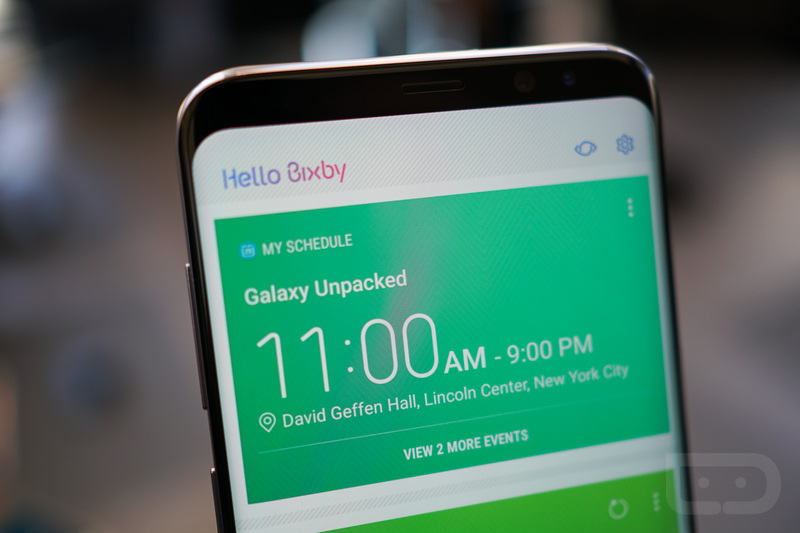 During Samsung’s unveiling of the Galaxy S8 and Galaxy S8+ a couple of weeks ago, their presenters spent a lot of time on their new assistant named Bixby. This was supposed to be a next-level assistant or “intelligent interface” that duplicates a whole bunch of things Google already does just fine (and has for years), only it can be accessed with its own dedicated button that we’ll all likely just remap. You’ll notice I said “was supposed to be,” because last night, Samsung announced that it’s biggest feature won’t be ready for launch. When the Galaxy S8 and S8+ arrive next Friday, they’ll lack the voice interaction portion of Bixby. That means no “Hello, Bixby” or having it call an Uber or pull up your photo gallery or texting Cindy a picture of a map. It’ll still do the camera tricks to help you scan QR codes, shop for items you see while out and about, or identify landmarks. It’ll also be able to set reminders and organize a handful of cards in a Google Now-clone to the left of your home screen. But the voice stuff, nope. They won’t say why voice won’t work, of course. But this does make sense after the Unpacked event where none of the voice options were enabled on any of the demo units we used, which you can see in our Galaxy S8 First Look video. So if you are grabbing that Galaxy S8 at launch, just use Google Assistant. Then in the spring, when Bixby voice arrives…well, you’ll probably end up sticking with Assistant anyway, since you’ll have turned the Bixby button into something else.